Classically trained as a child, Deb’s greatest love in music is Celtic fiddling. She studied with Ron Jones at Swallow Hill, then went on to study both Irish and Scottish music in various settings, including five years at the Valley of the Moon Scottish Fiddle Camp in California. She has performed with various bands including Highstrung, Celtic Fair, All in Good Time, Conundrum, Unstrung Heroes and Deb and the Pariahs. Her playing ranges from rhythmic and driving to haunting and passionate. 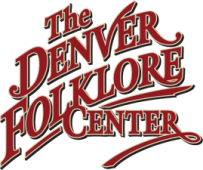 It could be called a “Denver” style of Celtic music because there are influences creeping in from old timey music and other traditional Colorado music styles. She also writes her own original tunes, influenced by the music she loves so much. 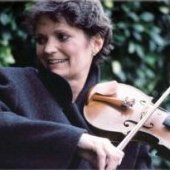 Deb teaches basic fiddle, Celtic and traditional American Old Timey styles. She likes to keep the student excited about the music they’re learning while also encouraging good, basic fiddle techniques that will make it possible for them to reach any level of playing they desire. Using tunes (rather than exercises) to teach skills, she believes that students can learn what they need to while playing the music they want to play. She teaches music both by ear and by using written music, while encouraging the student to be able to learn either way. She thinks it’s most effective to have students learn good technique by playing the tunes that appeal to them in the genre they enjoy the most.